VOLUNTEERS and community members are furious after Queensland Transport shut down the railway line at the Botanic Gardens without warning. Officials stopped the tourist train, which has operated for 23 years, in the middle of a run as it helped out with a charity walk supporting diabetes on Sunday. The Australian Sugar Cane Railway has been told the shutdown was because the railway did not comply with strict safety regulations. Critics have labelled the move "bureaucracy gone rampant". Passengers on the Botanic Gardens tourist attraction, including a disabled woman and her carer, were ordered off the train by officials on Sunday afternoon. The shutdown came about without warning and relates to safety accreditation the department said the 23-year-old railway attraction - which has never had an accident - must comply with. Australian Sugar Cane Railway committee secretary Ross Driver said the group had been talking with Queensland Transport for months over compliance with their system of safety. "We had the quality assurance signed by an engineer, but they still said we need to come under their system," he said. "We had no warning. 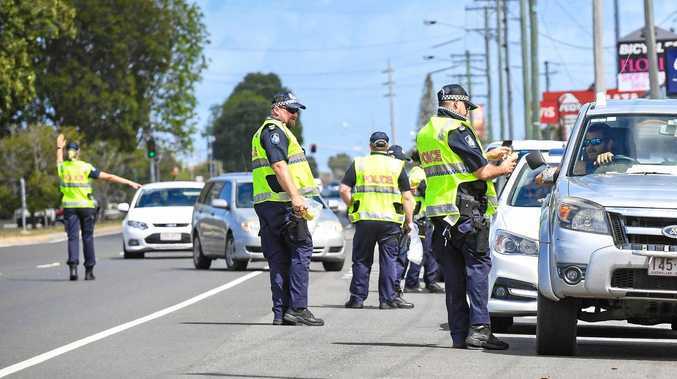 There were two burly representatives from Queensland Transport who intimidated our ticket seller." Volunteers such as retired David Twiss believed Queensland Transport had done "a disservice to the town" by shutting down the railway - especially on a day they were helping out with a charity walk for diabetes. "It's just bureaucracy gone rampant," he said. "It came out of the blue. When we had Workplace Health and Safety here, they said our staff were working up to speed." A Facebook group urging Queensland Transport called "Keep Bundy Botanical Gardens Trains Running" had more than 190 "likes" by yesterday afternoon. arranged for Queensland Rail inspectors to visit the railway next week to carry out an assessment. A spokesman for the Department of Transport and Main Roads said staff had been working for a long period of time to help the group attain accreditation. "Our staff are actively assessing the railway's accreditation application," he said. "Also, it is stressed that the Department has not 'shut' the railway - rather provided the railway advice that it is unlawful to operate without rail safety accreditation."